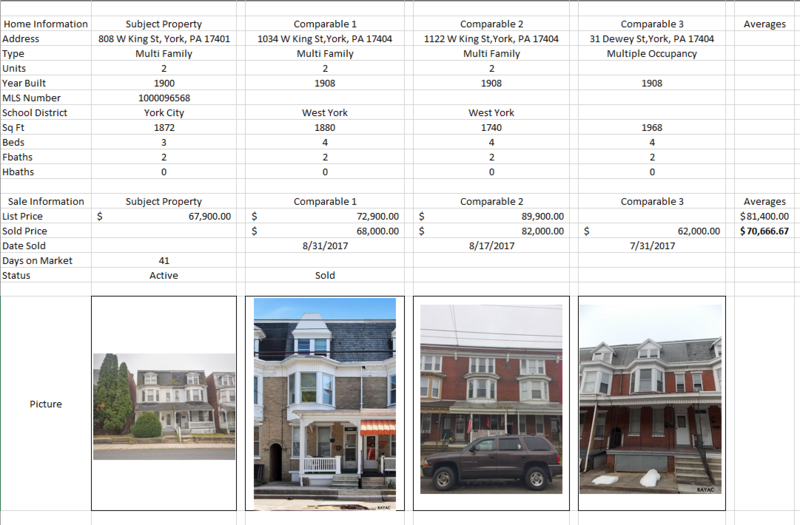 The average sold price is $70k, but they were all 4/2s so i knocked 5k off that because the subject property is a 3/2. Did i do my analysis correctly? Did i pull the right comps? Was my comp analysis correct? Are there repairs that need to be done?? What is the rental market like in your area to justify 100 increases? Could you manage the rental yourself? Saves money? @Jacob A. thank you for your reply! Updates could be done, but both units are already rented. The rents could go up for that area, the previous landlord just didn’t do that. I’ve been looking for units where I can use a property manager. I don’t really have the time to be a landlord, so I’m okay with taking a little less pay to not have to invest that time. Did I pull the right comps for that rental? I tried to find other multi units, or, because it’s residential, an appraiser won’t look at multi units but just other 3/2s? Im not entirely sure, but I would assume you compare MFU to MFU. If it were 5+ units then you compare based on NOI. Please feel free to correct me if im wrong. I'm following this post so i can grab the answer to your question for myself. @Joel O. , yeah, I would think so. But I could be wrong, I’m not an appraiser, hence the question. Lol. Then are they going to try and find a multi family that is a 1br and a 2 br or are they just going to try and find a 3/2 MFU? Jason, what type of updates would need to be done if the units were not rented or become vacant in the near future? If minor cosmetic updates, I would think offering 45k on a property that’s only 65k seems like a steep drop, especially for a duplex that seems to provide a very solid stream of cash flow. How did you come up with this number? @shaun, great question! Maybe this spurs on a different discussion as well. 45k is 70% of 65k. I was told as an investor you never buy anything for above 70%. So that’s basically where I came up with that number. Updates would be mostly cosmetic to make it look nicer on each apartment. I can certainly go higher in my offer price though. I was hoping to use private money for it and then do a cash out refi in a year. Joel O. , yeah, I would think so. But I could be wrong, I’m not an appraiser, hence the question. Lol. Then are they going to try and find a multi family that is a 1br and a 2 br or are they just going to try and find a 3/2 MFU? Yes i think what they would do is compare the subject property to similar properties in the area, similar price, similar sq ft, similar units. Is your subject property an actual MFU or is it a SFH that you want to turn into MFU? @Joel O. It’s the left side of a duplex that has already been converted to a 2-unit. Clayton Morris / Morris Invest House of Cards starting to fall. 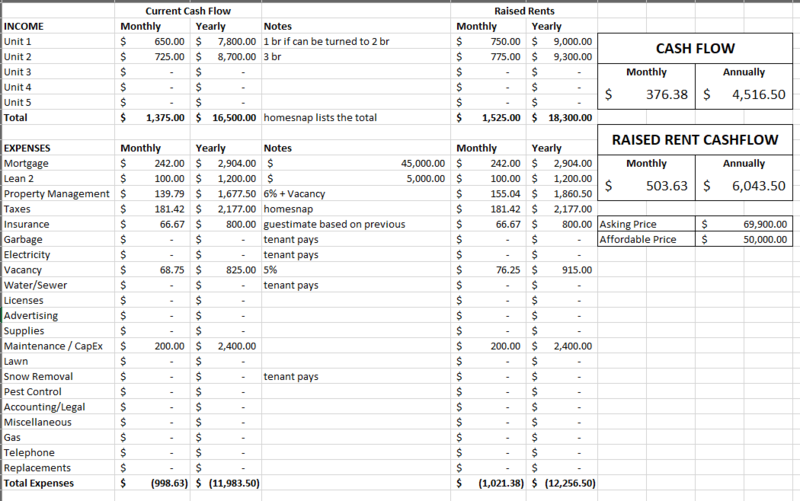 What do you budget for reserves and CapEx? What questions do you ask?